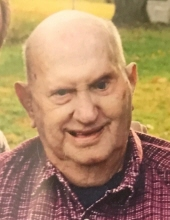 Mr. Carl June Mooneyham, age 84, of Ash Grove, Missouri, went home to be with his Lord on Sunday, November 11, 2018 in Mercy Hospital, Aurora, Missouri. He was born on December 21, 1933 in Greene County, Missouri, the son of Ralph and Merle Mooneyham. Carl married Josephine “Jo” Batson on May 27, 1955 in Billings, Missouri, and shared 63 years together. He was a very loving husband, father, grandfather, and great grandfather, and looked forward to family time. He was a member of the New Home Baptist Church, Everton, Missouri, and the Masonic Lodge #100, Ash Grove, Missouri. Carl enjoyed traveling, camping, fishing, and working on the farm. He was preceded in death by his parents; and three sisters, Ruth Elaine Mooneyham, Dorthy Batson, and Ruby White. Carl is survived by his wife, Jo; a son and his wife, Terry and Jane Mooneyham, Republic, Mo. ; two grandchildren and their spouses, Ellen and Rob West, Panama City Beach, Fla., and Beau and Katie Mooneyham, Springfield, Mo. ; two great grandchildren, Natalie West and Barrett Mooneyham; two sisters, Reva Stewart and her husband Ivan, Republic, Mo., and Kay Glass, Springfield, Mo. ; numerous nieces and nephews; and a host of other family and friends. To send flowers or a remembrance gift to the family of CARL JUNE MOONEYHAM, please visit our Tribute Store. "Email Address" would like to share the life celebration of CARL JUNE MOONEYHAM. Click on the "link" to go to share a favorite memory or leave a condolence message for the family.